Outstanding sire Balou du Rouet crossed with Chacco’s Son, double winner of the Aachen Nations Cup, ridden by Maurice Tebbel. Grand-dam Lady Girl, elite mare, has produced several successful show-jumping horses and licensed stallions and is the half sister of the licensed stallion Light On (internationally successful up to 1.60m with Rene Tebbel). 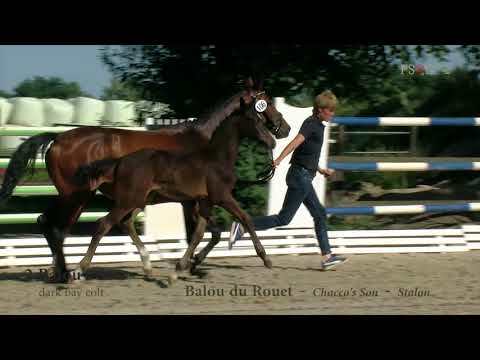 Balou´s Son was as OS-Elitefoal in the ferrule at the german Foal Championship in Lienen.